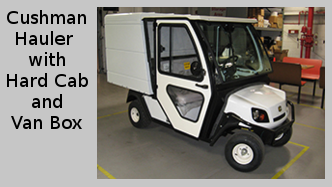 Cushman Motor Company sells a wide variety of small commercial gas, electric or diesel utility vehicles made by Columbia Parcar, Vantage and Cushman for use on college campuses, parks, corporate campuses, apartment complexes – anywhere there’s a need for a tough reliable maintenance or delivery vehicle. We sell new vehicles, used vehicles and OEM parts. We rent vehicles and offer factory trained service. 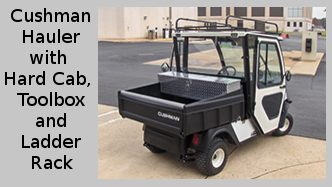 Who buys commercial utility vehicles from Cushman Motor Company? Smart companies and institutions like the Domtar Paper Company, the City of White Bear Lake, Macalester College and the University of Minnesota. 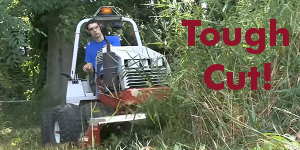 These customers know and depend on Cushman Motor Company’s superior customer service. Want a demo of a vehicle? Call us at 612-333-3487 or fill out the form on this page. We’re famous for customizing our commercial utility vehicles for your needs. Need an enclosed cab? Or a ladder rack? A dumper? Our in-house mechanics can do it all. Click any image for details. Looking for a 4×4? 50 Mile Range Electric? A dumper? We have it. 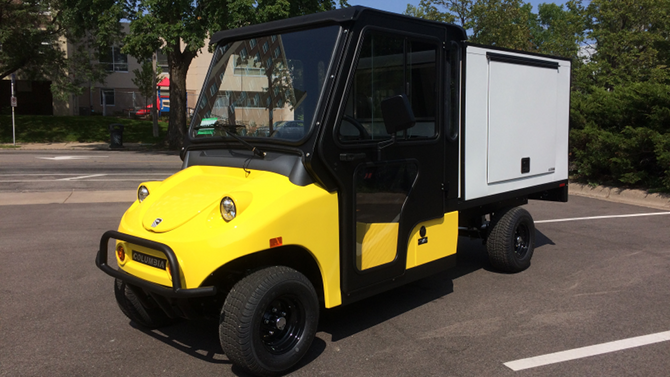 We sell small commercial utility vehicles optimized for landscaping operations, campus deliveries and park maintenance. We sell 4×4 utility vehicles, dumpers, low-speed flat bed trucks, delivery vans and passenger carts. All of our vehicles are rugged, low cost and low maintenance.